I have been wondering about wedding rings. Why do we wear them? When and how did this tradition originate? Jewelry itself is as old as mankind. Prehistoric artifacts from 82,000 years ago have shown that homo sapiens in Marocco, and perhaps homo neanderthal too, made necklaces of perforated sea shells. A nice picture is found on page 8 of “Jewelry: from antiquity to the Present” depicting a necklace of perforated clam shells and small animal bones from 38,000 BC. That is before the last ice age and that is when woolly mammoths roamed across America. Along with necklaces of teeth and bones of hunted prey, these items possibly served as powerful talismans to be worn by the hunter and not just for decorative purposes. Special protection and powers from deities were expected. Common lore portends that early Egyptians first used wedding bands fashioned of reeds from the banks of the Nile perhaps around 4000 BC. They were replaced by metal rings as soon as metallurgy was discovered. Gold jewelry first appeared in Mesopotamia around 2500 BC. Many of the same jewelry techniques we use today, were already in use in antiquity including repoussee, granulation and wax techniques using gypsum molds. At the royal tombs of Ur in Mesopotamia, Queen Pu-abi, for instance, wore a ring on each finger and among her 63 attendants buried with her, the women wore intricate headbands, ear rings, necklaces, bracelets and rings and the men wore ear rings, necklaces, armlets, bracelets and pectoral ornaments. At the site of ancient Troy a treasure of jewelry was found including 8000 small rings dating 2200 BC. In Egypt scarab rings were particularly common and served as a portable seal with a hieroglyph signature. You can see many samples in the Metropolitan Museum of New York and other museums of antiquity. In ancient Rome , marriage rings became a symbol of a contract. Iron was adopted as the metal of choice rather than copper, brass or gold. Acceptance of the rings was considered legally binding. The betrothal ring was usual, but not required and was exchanged prior to the wedding like an engagement ring. It signified eternal commitment and was worn on the left ring finger because the vein of this finger (vena amoris) was thought to lead directly to the heart. 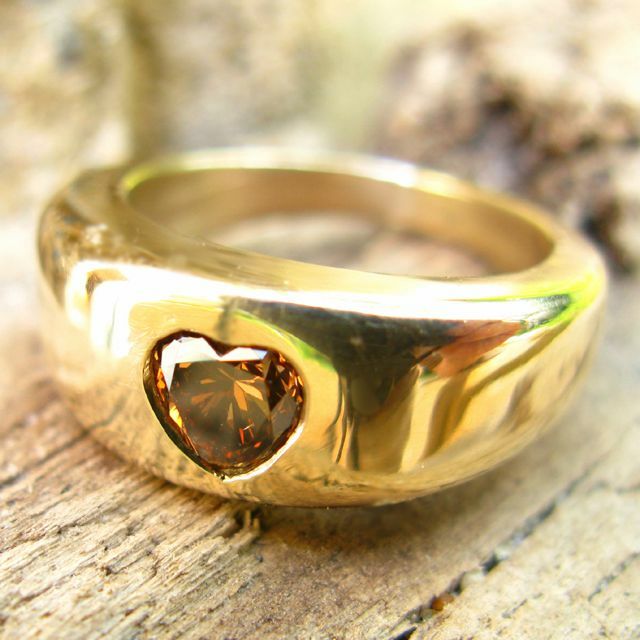 In the later stages of roman civilization excessive gold rings were sported. Eastern Orthodox – “The servant of God (name) is betrothed to the handmaid of God (name), in the Name of the Father, and of the Son, and of the Holy Spirit. Amen.” said three times while the Priest makes the Sign of the Cross with the ring over the bridegroom’s and then the bride’s head. But some religions frown on wedding rings. Quakers in particular, who claim the tradition is heathen. And Muslims, who either quote the prophet: “Wearing gold is forbidden for male Muslims, but it is allowed for female Muslims” or decry this western tradition. Never the less, present day customs across the world nearly all involve some kind of wedding rings, although there are many amusing curiosities. In some countries wedding rings are worn on the right hand rather than on the left ring finger. In the Netherlands Catholics wear it on the left and Protestants on the right! Hindus sometimes wear a toe ring called bichiya. In east Bengal a bangle is worn by married women, in stead of a ring. Traditional Russian wedding rings are three interlocking bands of rose, white and yellow gold, worn on the right hand. Wearing a wedding ring is not only a personal symbol of enduring commitment and eternal love, but also a public symbol, advertising marital and availability status. Every culture appears to have a set of customs by which women (and men to some extent) announce their availability. We came across a quaint custom on the Caribbean island of St. Lucia, where women wear a colorful head piece, called the Tête en l’air arranged with one or more peaks which represent various levels of romantic commitment: one peak means ‘my heart is free’, two peaks means ‘my heart is engaged but you can try’, three peaks mean ‘my heart is engaged and committed’, and four peaks means ‘anyone who tries is welcome’! In discussing modern periods, a recent textbook on the history of jewelry concludes that “the major international [jewelry] houses have continued to work…following styles evolved from previous decades, [but that] innovation has come…from individual artist craftsmen trained at art schools”. If you are looking for wedding rings, and public symbolism is important to you, you probably want to find a conventional and traditional set of engagement and wedding rings (that everyone will recognize as such). A nice custom is to use family heirloom rings from grandparents. If on the other hand private symbolism and personal tastes are more important to the couple, there are some interesting modern day trends. You can personalize your rings by incorporating your fingerprints on your rings, or hidden messages to each other, or get a set of rings that join like puzzle pieces, and you can check out at least 500 other imaginative ideas! 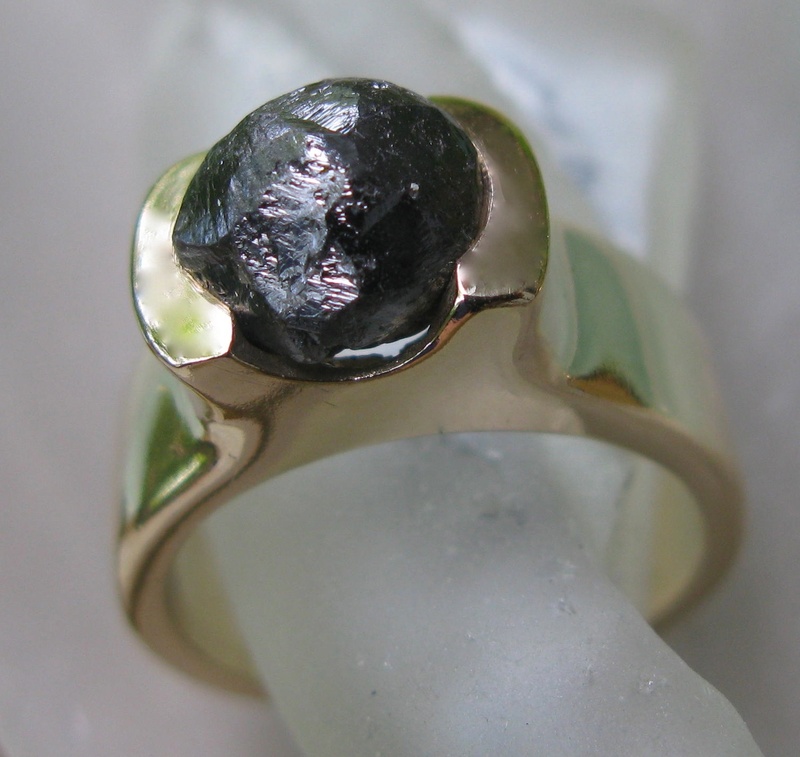 Working with a custom jeweler/artist you can make tailor-made rings to suit your special needs. It does not have to be expensive. Remember, the major expense in wedding/engagement rings is the gem (diamond) accounting for approx. >70% of the final price. Check out our website for more on this! This entry was posted in Gemology, Jewelry, weddings and tagged antiquity, customs, diamond, gold, history, iron, lore, rings, vows, wedding. Bookmark the permalink. I congratulate you for your blog. It is really well done and all your articles are very informative and well written, I’m favourably impressed. Do you know why there are 3 bands to a Russian Wedding Ring? Is there any symbolism behind it? “The servant of God (N.) is betrothed to the handmaid of God (N.), in the Name of the Father, and of the Son, and of the Holy Spirit. Amen.” – from the Eastern Orthodox Service of Betrothal, part of the Mysterion of Holy Matrimony (“crowning”), said three times while the Priest makes the Sign of the Cross with the bride’s ring over the bridegroom’s head, he then places the bride’s ring on the groom’s hand. The same words are said three times over the bride, reversing the names of the bride and groom, placing the groom’s ring on the bride’s hand. The rings are then exchanged three times (either by the priest or by the best man), so that the bride and the groom end up with their own rings.